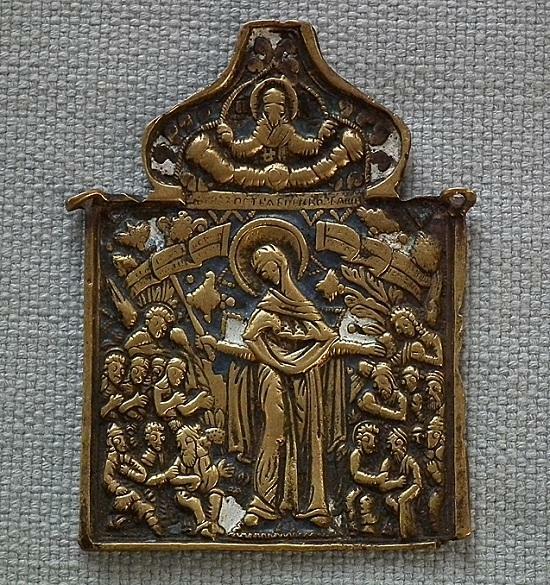 Authentic antique 18th century Russian Orthodox brass and enamel center panel of folded icon “The Mother Of Good Joy OF All Who Sorrow”; in the centre The Virgin with a warder in her right hand with the groups of people on her sides. On the top part Jesus Christ the King of The Kings. CONDITION: in good condition considering its age, with nice old patina. 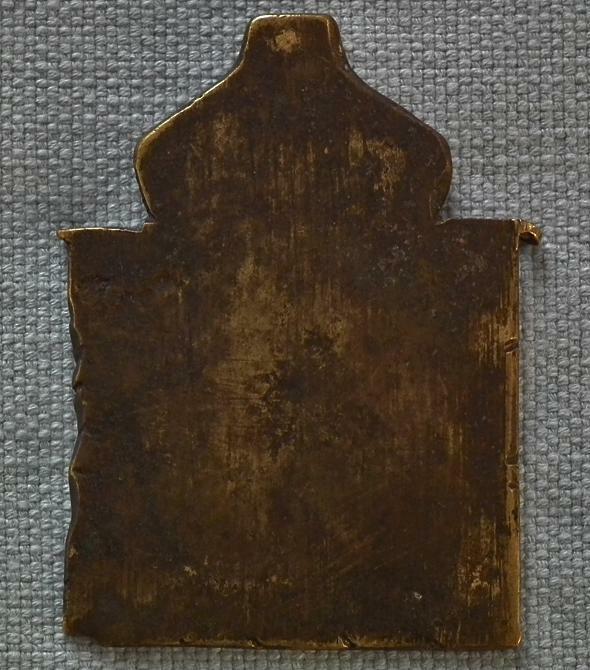 Due to the fact that the market is flooded by reproductions of the Russian brass Icons, which for inexperienced collectors look the same as the authentic objects, we would like to inform our clients that this is genuine authentic antique Icon, and is accompanied by a Certificate of Authenticity. 1.Smithsonian Museums in Washington, DC. (From the former “Kunz Collection) Published in the catalogue. Russian Copper Icons and Crosses from the Kunz Collection: Castings of Faith by Richard Eighme Ahlborn and Vera Beaver-Bricken Espinola. 2. Andrei Rublev Central Museum of Ancient Russian Culture and Arts. Published in the catalogue. Crosses, Icons, Hinged Icons by Gnutova, E. Ya. Zotova.